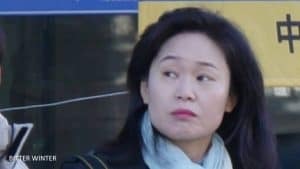 While Chinese agents, hired thugs and anti-cultists stage false “spontaneous demonstrations” and abuse refugees, hackers launch a massive attack against the website of Bitter Winter, obviously trying to prevent its reporting of the events in Korea. The Church of Almighty God (CAG), the largest Christian new religious movement in China, is banned there by the Chinese Communist Party (CCP) and subject to violent persecution, with several instances of torture and extra-judicial killings documented by independent NGOs. Hundreds of its members have escaped to South Korea, where they are seeking asylum. 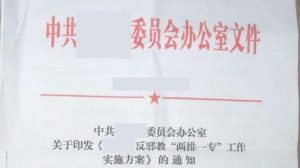 Bitter Winter’s article of August 31 was accompanied by a statement by nine NGOs denouncing the Chinese plot and asking South Korean authorities to thwart it. It was the most read article of Bitter Winter ever, and visitors to the Bitter Winter website skyrocketed in one day. It should also be noted that Bitter Winter announced a complete coverage of the events leading to China’s Universal Periodic Review (an assessment of the human rights situation in each member country the United Nations perform every five year) at the United Nations’ Human Rights Council, due for November 6 next, a process that is making Chinese authorities understandably nervous. The reaction was not late in manifesting itself. Bitter Winter’s English website was subject to a hackers’ attack (not for the first time), which shut it down temporarily. 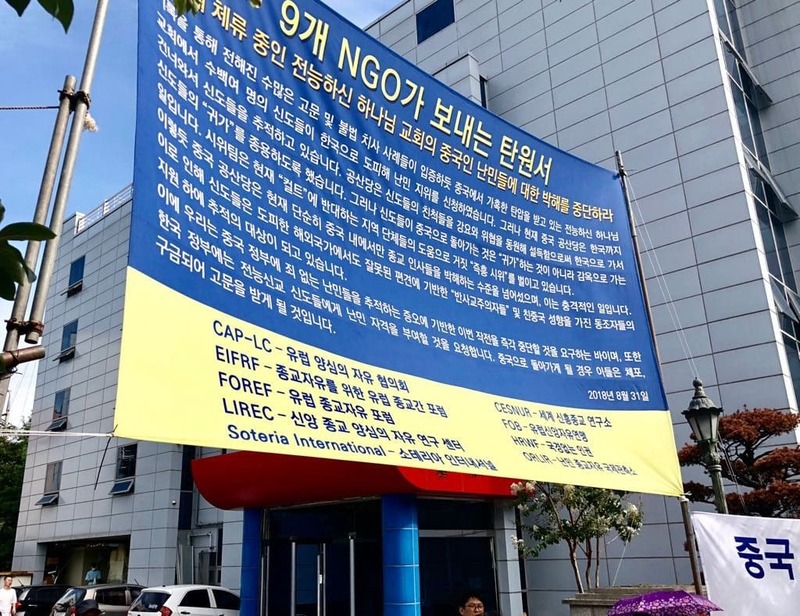 Meanwhile, a violent demonstration took place in front of the Seoul church of the CAG. For a fortunate coincidence, Peter Zoehrer, an Austrian journalist and the secretary of FOREF (Forum for Religious Freedom Europe), was visiting the CAG in Seoul to collect testimonies of torture in China and was an eyewitness to the events. He shared his experience with Bitter Winter. 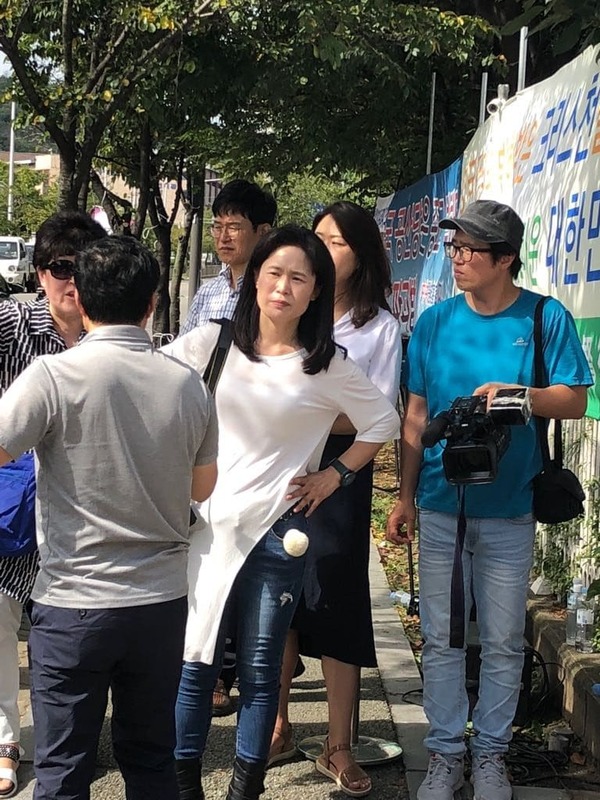 On September 2, at 12:30 noon, Ms. O brought to the CAG premises seven relatives of CAG members and a handful of anti-cult activists, as well as about a dozen of paid professional demonstrators. A group of men raised four banners across the entrance of the Onsu Church of Almighty God in Seoul. In addition, several camerapersons wearing surgical masks came to the scene to take shots. At approximately 1 p.m., 30 individuals appeared at the Onsu Church entrance in succession to participate in the demonstration and used megaphones and speakers to loudly insult and abuse both the CAG and the person it worships as Almighty God. According to witnesses who had been on the scene, the decibel level of the demonstration was an assault on the senses, making people feel unwell, and it was probably above the legal noise limit; furthermore, the clamoring and shouting greatly disturbed the activities of the populace in the area, and affected the Sunday services of the local Christian churches as well. Holding their loudspeakers in hand, with an emotional tone, the professional demonstrators shouted and asked the CAG members to come out to meet their relatives, with sentences such as “Mum is missing you, please come and meet me,” and so on. They tried to create the impression that the CAG stops its members from seeing their relatives. In fact, the contrary is true. The CAG had tried to negotiate with Ms. O, with the help of the Korean police, to have its members meet their relatives coming from China in private, without anti-cultists and Chinese agents present and clearly not within the framework of a violent demonstration, but the request was turned down. The demonstration lasted for more than 5 hours; the demonstrators shouting their slogans with the most fervor were two or three Koreans – not Chinese nationals who had come to visit family members. At 3 p.m., a vehicle that had left to run errands returned to the Onsu Church. As the vehicle pulled up to the entrance, Ms. O instructed the demonstrators on the scene: “Block the car, block the car!” Then she waved her hands asking all the relatives to come around, and one of the paid professional demonstrators immediately lied down on the ground in front of the car, holding a loudspeaker to yell, followed by some others. And, in response, more than ten demonstrators surrounded the vehicle from all sides, and they beat at the car’s windows with all of their strength to force the person inside to open them. Then, demonstrators proceeded to take out cameras and take pictures of the inside of the vehicle as it remained still, blocked from moving forward or backward. Ms. O even viciously kicked at the vehicle multiple times and she was inciting others to fiercely trample on the car. Finally, before allowing the vehicle to pull into the church, Ms. O. demanded that the driver rolled down the windows so that more than ten demonstrators could look in, one-by-one, and see who the persons inside were. Luckily, Mr. Zoehrer got off the car before the attack and was able to film the process. The deadlock lasted for almost half an hour, and at last, the car was able to move to the parking lot. Mr. Zoehrer was protected by his being a foreigner and showing his card as a journalist, but the CAG members had to be escorted by the police. Sometime after 4 p.m., the two sides tried to negotiate a meeting between a relative and a female member of the CAG. The member, her husband, and her mother-in-law, accompanied by the police, went to see her mother, who had been demonstrating outside the church. Reportedly, the member received the news that her mother would be coming to South Korea to see her when her mother was still in China. She called her mother on the phone to tell her that she was in Seoul and that she hoped her mother would be able to fly directly to Seoul so that she could pick her up at the airport. However, at the time, the mother indicated that she was “traveling with a group,” and that “somebody” had already helped them buy plane tickets; thus, they would have to first fly to Jeju island before going to Seoul to see her. 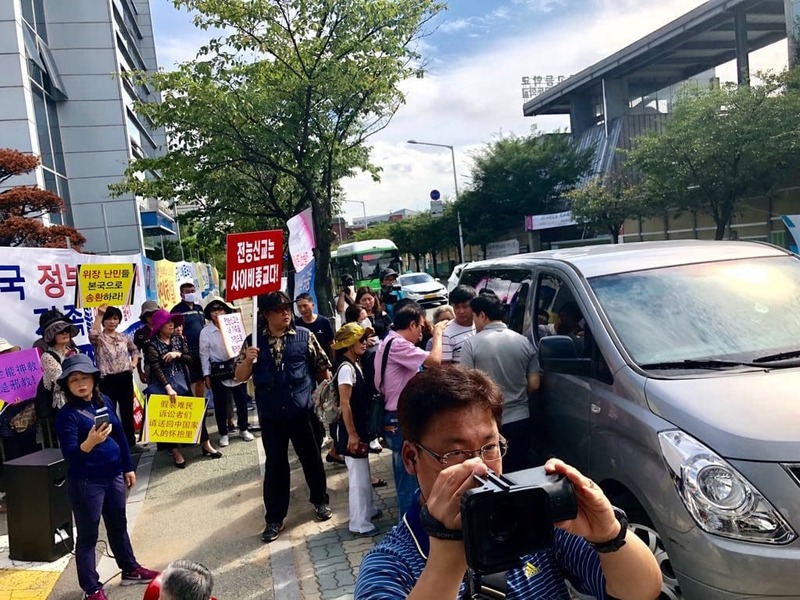 Although the mother was clearly free to meet her daughter, after arriving in Seoul, she joined the demonstrators in shouting in front of the church and claimed a member of her family had been kidnapped by the CAG and she demanded to see her daughter. This was, of course absolutely false. Other claims made by the group who came from China are also contradicted by their relatives who are members of the CAG and seek refugee status in Korea.